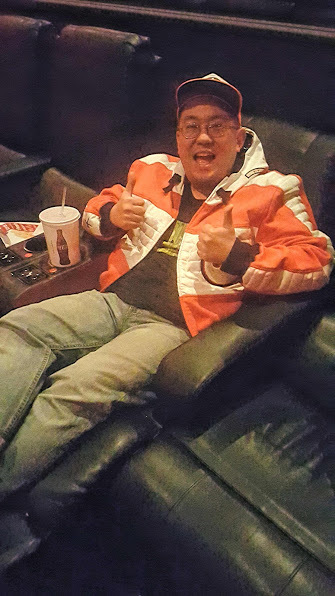 Dolby invited me to check out their new premium large format theater at the AMC Burbank 16 to watch Star Wars: The Force Awakens. 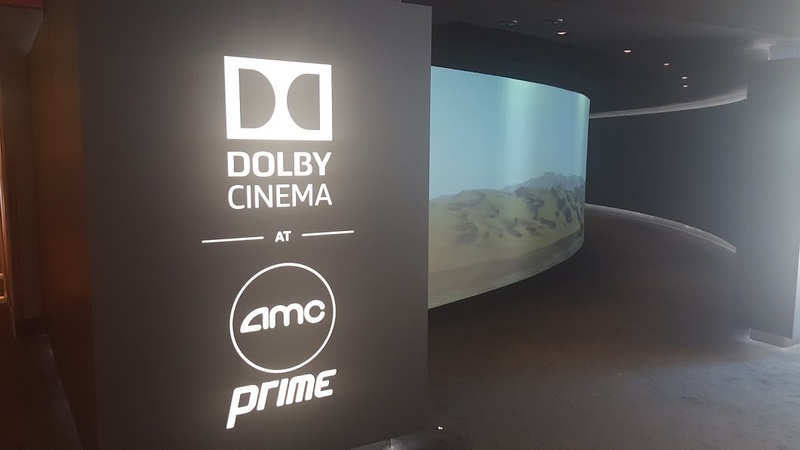 Called Dolby Cinema at AMC Prime, the goal is to bring back the pure movie going experience through amazing video and audio. 2. Dolby Atmos - a reference quality sound system that moves audio around the theater in sync with the action to create a more immersive experience. At the Burbank location this means 5 in-screen speakers with 48 surround speakers, 4 ceiling mounted subwoofers and in-seat tranducers for extra rumble. 3. Design - you are greeted by a signature entrance and audio/video pathway showcasing the movie you are about to watch. Premium seating, a room painted matte black to reduce ambient lighting and a large curved wall-to-wall-to-ceiling screen to make the movie going experience immersive and memorable. This is my third time watching Star Wars: The Force Awakens and this has been by far the best movie watching experience of the three. 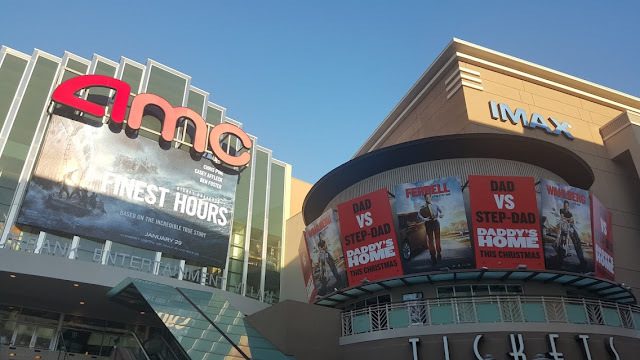 I saw it at my favorite theater in the Southern California area, the historic El Capitan Theatre in Hollywood that has added Dolby Vision and Dolby Atmos but the Dolby Cinema at AMC Prime had audio and video quality and clarity far above what The El Capitan could provide. The clarity of both the score and the dialogue that far exceeded any theater thus far. This alone brought about an emotional pull into the movie like nothing that I have experienced before. The score sounded as if the orchestra was in the pit in front of the screen. But then when you can also feel the rumble of The Force and feel the blast of the explosions around you, you feel truly immersed in the experience. You are no longer just simply watching a movie but a part of the experience. Then you bring in the video quality in a theater that has no lighting distractions and you have the best way to experience Star Wars: The Force Awakens. The theater is stadium seating and the rows have more than enough clearance that you see and take in the entire screen. This is what full movie immersion is all about. The cost to see a movie is on par with an IMAX screening. In my opinion, totally worth the cost and the drive. I am hoping they build one or two of these in the Orange County area. At the time of this article there are 11 Dolby Cinema at AMC Prime locations (California, Texas, Georgia, Kansas, New York, Missouri and Illinois) with more under construction. AMC is hoping to have 50 of these locations by the end of this year and 50 more by the end of 2024. The screenings are 2D exclusive to ensure that you are seeing the movie at it's peak output. 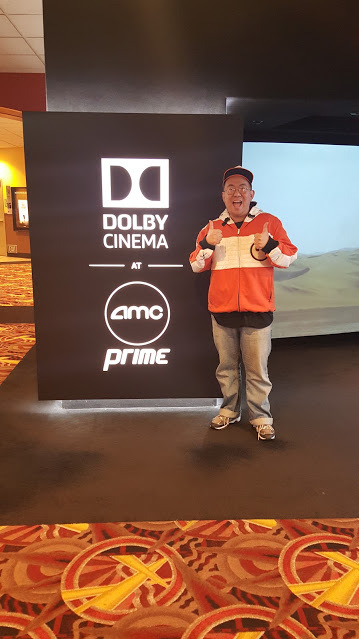 I thoroughly enjoyed my experience at the Dolby Cinema at AMC Prime. Being fully immersed in a movie with amazing audio and video clarity is more than worth the premium surcharge. As far as I am concerned this is the best cinema experience in the Southern California area. I look forward to seeing many more films here and hope they build one or two of these theaters closer to me in the Orange County area.